According to the Centers for Disease Control and Prevention (CDC), 1 out of every 5 school age children is obese, which is a number that has more than tripled since the 1970s. In fact, the CDC refers to childhood obesity today as a serious problem. It’s one that many parents are not sure how to take on and beat. 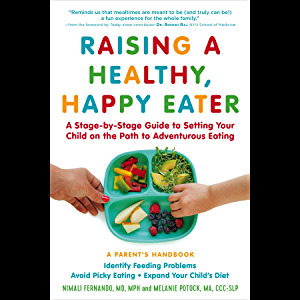 The good news is that although babies may not be born with a handbook on how to care for them, one doctor who is on a mission to combat childhood obesity has written a book on how to feed children so they are healthy and happy. “As a pediatrician, I see that childhood obesity is a serious situation that we are dealing with as a nation. The effects of our over-reliance on processed food extends beyond the growth curve. So many children are who normal weight still exhibit symptoms that stem from their diet” says Dr. Nimali Fernando, a Fredericksburg, Virginia-based pediatrician who founded The Dr. Yum Project.